Browse the FREE SPIRIT Online Mall and find a Retailer you’d like to purchase from. Then simply click on “Shop Now” and you’ll be redirected to the Retailer's website where you can shop as normal. Your Miles will show in your FREE SPIRIT Online Mall account as “Pending” within 5 working days. If your pending Miles aren’t appearing in your FREE SPIRIT Online Mall account after 5 days, please contact us (link to contact us page at TBC). We'll confirm the transaction with the Retailer before updating the transaction status to 'Approved'. This takes up to 60 days but in some cases it can take longer and is subject to the Retailer's Terms & Conditions. 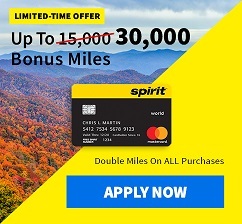 All "Approved" Miles will be posted to your FREE SPIRIT account within 24 hours. If you have any more questions, check our FAQs to find more answers. Cookies are used to track your path from the FREE SPIRIT Online Mall to the retailer’s website and enable us to allocate the Miles you’ll earn from your purchase to your FREE SPIRIT Online Mall account. For more information on cookies click here.